We are an inclusive community sharing Christ on campus and in the city. Welcome! Advent is about the “coming days.” God’s people have always lived in great expectation, but that expectation finds specific, repeated enunciation in the texts appointed for these four weeks. The ancients anticipated a “righteous Branch to spring up for David.” The Thessalonians awaited “the coming of our Lord Jesus with all the saints.” Our Lord’s contemporaries hoped for the time “to stand before the Son of Man.” With them we eagerly await the coming days: another Christmas celebration, a second coming, and the advent of our Lord in word and supper. 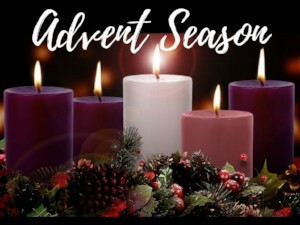 Our Advent Liturgy comes from “Everlasting Light”, a setting of Holy Communion for Advent and Christmas based on the carols of the season by Pastor David Eck of Abiding Savior Lutheran Church of Fairview, North Carolina. Our Eucharistic Prayer comes from Liturgical Scholar Gail Ramshaw. It is based on the O Antiphons sung in medieval monasteries December 17-23 at evening prayer before an dafter the Magnificat, the antiphons used Old Testament images as descriptors of Christ. The first letters of the seven Latin words—Sapientia (Wisom), Adonai (Lord), Radix Jess (Root of Jesse), Clavis David (Key of David), Oriens (Sunrise), Rex Gentium (King of Nations), Emmanuel (God with us)—when read backwards, spell “Eros cras,” “I will be tomorrow,” that is, Christ will be here December 24. The final quatrain (“Come, Lord Jesus, be our guest”) can also serve as meal prayer in the home. Pastor Fritz and Pastor Matt are participating in a Pulpit Exchange. Pastor Fritz will be preaching at Saint Luke Lutheran Church, Devon while Pastor Matt serves this Sunday at UniLu! Pastor Matt graduated with honors from the Lutheran Theological Seminary at Philadelphia. He has served congregations in Havertown, North Philadelphia and Camden, NJ. Before becoming a pastor, he worked in youth ministry and anti-poverty efforts. Since 2009, he has been a leading faith-based advocate for ending extreme poverty with the One Campaign. 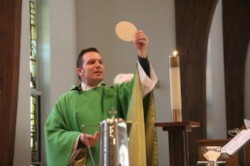 Pastor Matt began his ministry as Pastor for Youth, Family and Service at Saint Luke in October, 2011. He lives in Chesterbrook, along with his wife Monica and their daughter Amber. As we begin the season of Advent, look forward to Christmas, the end of the semester/quarter and 2018, stress levels can sometimes increase and you may find yourself struggling to get through the upcoming days. Know that you do not need to walk the journey alone. 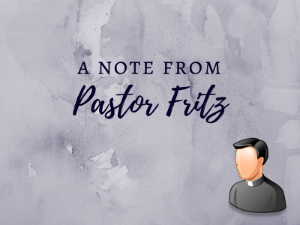 Pastor Fritz is available to meet over tea and coffee, at the church, or another place you are most comfortable to listen and provide support. Pastor Fritz can be reached at the church office at 215.387.2885, or 24/7 on his cell phone at 315.720.5498 or by email at pastor@uniluphila.org. 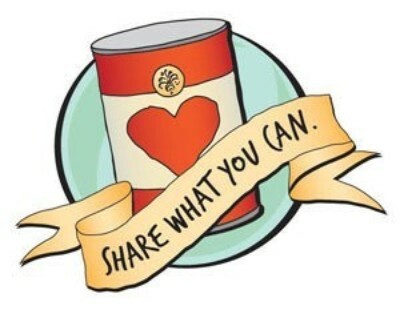 UniLu is collecting canned goods on behalf of the Grace Lutheran Food Pantry throughout the month of November & December. Donations can be dropped off at the church during office hours (M-F 8:30-11:30AM) or following Sunday worship. We have collected more than 30 items so far and look forward to our growing collection. Thank you for your contributions! UniLu will be collecting blankets for donation as the cold months approach. To contribute a blanket, drop-off during office hours (M-F 8:30-11:30 AM) or bring one to worship next Sunday. We have collected a total of five blankets so far! May those who receive these blankets be wrapped in the warmth of God’s embrace! "...As the days darken and the light of Christ draws near, join us in a candlelit celebration of lessons and carols at Saint Agatha Saint James Parish on Wednesday, December 12th at 5:30PM. All are welcome!" The service is based on the traditional "Festival of Nine Lessons and Carols" made famous by 'Carols from Kings, Cambridge, England"
The service is a series of Bible readings interspersed with carols, hyms, and congregational singing. It will last approximately 1 hour. Light reception and fellowship afterwards. UniLu will be partnering with Lutheran Church of the Holy Communion (2110 Sansom St.) this year for a time of dinner, Bible study, and worship during the Thursdays in Advent from 6:00 PM - 7:30 PM. All are invited to join us for a part or the whole evening--whatever your schedule allows. The popular songs of the season are upon us and in the mix of jingle bells, the true opportunity of the sounds of the season may be obscured. In this half-day retreat, we will find a space to connect to ourselves and to each other through song, sound, and silence. This retreat will weave together music-making experiences, movement, and deep relaxation to support self-nurturance in preparation for this season. As we move into Advent, there is an opportunity to pause and stoke our individual light, a light that can then be reflected into the community. Looking to enhance your daily devotions during the darkest days of the year? 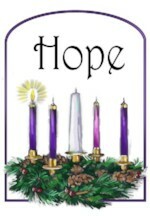 You are invited to use the standing stars located in the Narthex as a guide for your daily Advent prayers. The prayers were written by faculty, staff, and students from United Lutheran Seminary with the hope that all who use the stars will find comfort and hope in the daily lectionary readings and the prayers that accompany them as we all seek to welcome Emmanuel, God with us, into our hearts. Tonight, Wednesday at 6:00 PM for a FREE dinner and discussion at 6:00 PM. Tonight is our last Dinner and Discussion of the semester! This is a time for students and young adults to come together and relax with others who share our faith. Anyone is welcome to come out and join us Wednesday evenings for a few minutes or the whole time, whatever your schedule allows. Join us every Thursday afternoon at 4:00 PM for dinner and Bible, led by UniLu members Ray and Carl. Each week we focus on the texts to be read during worship the following Sunday. 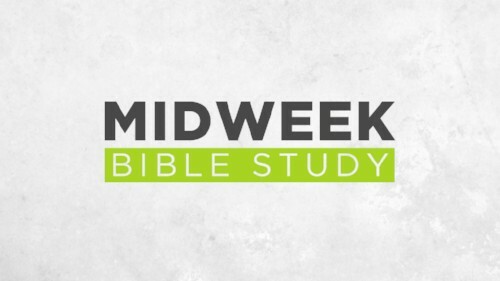 This is a great way to explore the Bible with friends! Our most recent drive provided lifesaving blood to patients in need at the Hospital of the University of Pennsylvania, Clara Maass Medical Center, CHOP, Abington Hospital-Jefferson Health, and Penn-Presbyterian Medical Center. For those in need. For those who seek jobs, shelter, food, health, and love; for dear ones known to us including Matthew, Don, Ron, Matthew, Tom, DeeAnn, Liam, Sophia, Magdalena and her son Zechariah, Gerard, Marjorie, Jim, Ben, Michelle, Dustin, Gerlinde, David, and Kevin. For those recovering from the devastating effects of natural disasters, including those suffering from the effects of the Hurricane Michael. For the whole church, especially our Conference Partner this week Mediator and our siblings around the world in Oceania: American Samoa, Cook Islands, Fiji, French Polynesia (Maohi Nui), Kanaky, Kiribati, Marshall Islands, Micronesia, Nauru, Niue, Palau, Papua New Guinea, Samoa, Solomon Islands, Tonga, Tuvalu, Vanuatu. For Brandon Elliot and the students of Moorpark College. For the victims of the California wildfires. For the Thousand Oaks Community and victims of gun violence. For the Migrant Caravan travelling through Mexico to the United States. For farmers and those who work the land and for a bountiful harvest this fall season. Names and concerns can be submitted by email to pastor@uniluphila.org or administrator@uniluphila.org. Additionally, prayers can be submitted electronically via the button below. Names will remain on the list for one month and can be renewed by an email to one of the above. Members, alumni, and friends of the UniLu community are generous givers of their time, talents, service, and treasures. Gifts enable us to glorify God through music, art, learning, discussion, and service in the community. We welcome all gifts that support the ministry and mission of our community—on campus, in the city, and beyond. Consider signing up to serve by clicking the button below! The sign-up website has a brief description of each worship assistant's responsibilities. Once you sign up for a position on a specific day, the website will send you an email reminder the day prior. Feast Incarnate is a weekly hospitality ministry of University Lutheran Church for those affected by HIV/AIDS. Each week a hot meal is prepared and served by a local congregation or community service organization. We served 86 meals last week. Since the beginning of 2018, over 3300 meals have been served.